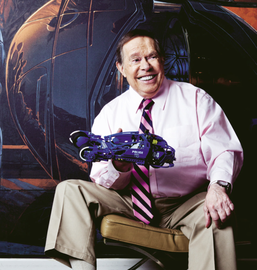 Sydney Jay Mead, commonly Syd Mead (born July 18, 1933), is a "visual futurist" and a neofuturistic concept artist. He is best known for his designs for science-fiction films such as Blade Runner, Aliens and Tron. Of his work, Mead was once moved to comment: "I've called science fiction 'reality ahead of schedule.'"